Chimera is a network impairment emulator that makes it easy to introduce consistent, accurate, well-defined and repeatable impairments (e.g. packet manipulation, latency, jitter, bandwidth control and shaping) to traffic between DUTs in the lab. 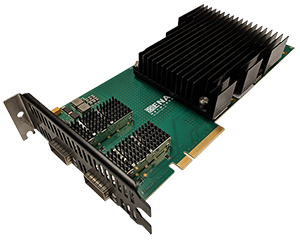 All rates from 10GE to 100GE are supported by a single 2-slot test module. Chimera is ideal for NEMs who want to optimize Quality of Experience (QoE) for customers by ensuring their equipment can handle acceptable levels of impairment. Service providers, enterprises, and government agencies can also use Chimera to validate Quality of Service (QoS) for voice, video, and data traffic being sent across their networks. 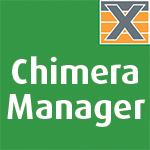 Chimera can be used a “standalone” solution, but it can also be installed as a test module in a ValkyrieBay chassis for seamless integration with ValkyrieManager’s traffic generator. This provides a really simple way of emulating impairment to traffic being generated via Valkyrie all from the same GUI. Finally, Chimera is available at a price/point that is about half the industry standard. 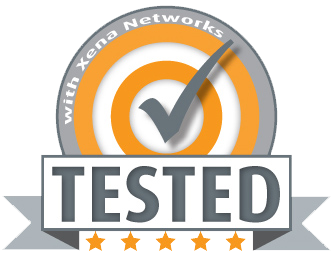 ValkyrieManager is the Windows-based application used to configure and generate streams of Ethernet traffic between Xena’s Valkyrie test equipment and Devices Under Test (DUTs) at all speeds up 400Gbps, and then analyze the results. 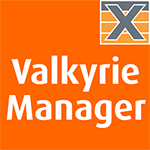 When ValkyrieManager detects a Chimera test module in a Valkyrie chassis, the Chimera’s software options for adding impairment become available in ValkyrieManager, enabling test engineers to manage the impairment emulation via the same GUI they use for generating the traffic. Scheduled for release later this year, ChimeraManager is a web-based interface for configuring and emulating consistent, accurate, well-defined and repeatable impairments such as latency, jitter to traffic between DUTs in the lab. Chimera can be used as a standalone device, or integrated into a Valkyrie chassis. The ChimeraCompact is a 19” rack-mountable chassis that can easily be used as a desktop device. In a ValkyrieBay chassis, a Chimera test module requires 2 of the 12 slots.